Invested more than USD 1 billion, the Shanghai World Financial Center close to Jinmao Tower, is designed mainly by the Mori Building Corporation from Japan and more than 40 other corporations. 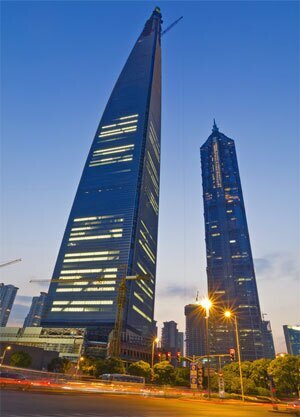 With 104 floors including three underground of a total 492 meters height, Shanghai World Financial Center is the second highest building in Shanghai. 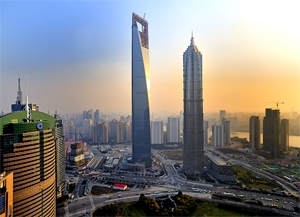 The Shanghai World Financial Center was developed with close co-operation between Pudong District and the Lu Jiazui Financial and Trade Center. In 1990 the Chinese Government decided to list Pudong District as a key development project, which encouraged the Mori Building Corporation to investigate potential projects. Shanghai World Financial Center is the highest building in Shanghai and has created a new Shanghai landmark together with Oriental Pearl TV Tower and Jinmao Tower. It takes about one minute by elevator from the first floor to the 95th, at a speed of 10 m/s. The building features three floors below ground plus Floors 2 and 3, which provide parking, shops and dining, a conference center on floors 3 to 5; offices on floors 7 to 77, including the Shanghai World Financial Culture and Media Center on floor 29; the Park Hyatt Shanghai Hotel on floors 79 to 93, and finally the Shanghai World Financial Center Observatory on floors 94 through 100. Two tuned mass dampers have been installed on the 90th floor to reduce sway and protect the building from strong wind or earthquake damage. There are three viewing areas on floors 94, 97 and 100. Sky Arena 94 provides over 700 square meters of comfortable viewing lounge, perfect for exhibitions and other events. There is a glass-roofed overpass on the 97th floor whilst Sky Walk 100, completely enclosed by glass with a span of 55 meters, is the world’s highest observation deck, topping the observation decks of the Canadian TV Tower (447 meters) and Dubai Tower (440 meters). The Observatory is located from the 94th floor through the 100th. 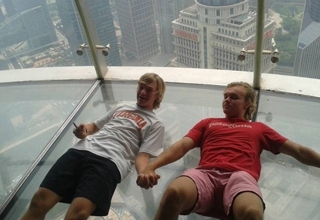 The 100th floor is currently the highest observatory in the world. The 97th floor resembles a bridge hanging high in the sky and the 94th floor offers a stunning city backdrop for special events. Sky Gate on B1 F provides an excellent and entertaining introduction to Shanghai as first stop for this brilliant visit. 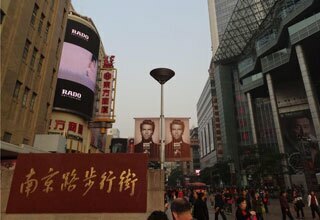 The city’s rapid development is illustrated by many high-tech displays, and a vibrant miniature model of the city is included, which is said to be the most realistic in the world. Sky Arena is 8 m high and covers an area of 760 sq meters. 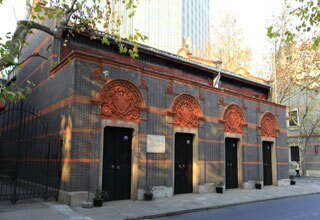 It provides wonderful views of old and modern Shanghai. It provides a comfortable viewing platform, with lounge and refreshments. You may be lucky enough to take part in an event or exhibition here against a beautiful city backdrop. This place looks like a sky bridge. The glass roof especially creates a wonderful feeling of walking on clouds. 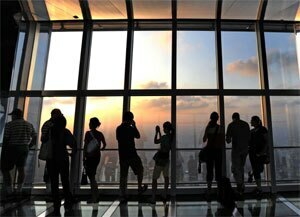 It is also the highest open air observation deck in the world. Currently the highest observatory in the world, Sky Walk 100 has a 55-meter span and three sightseeing corridors with transparent glass and floors. The views are stunning, whatever the time of day. The Oriental Pearl TV Tower and Jin Mao Tower looks amazing from this angle.